Every year, starting around mid-July, the cicadas emerge to serenade us. 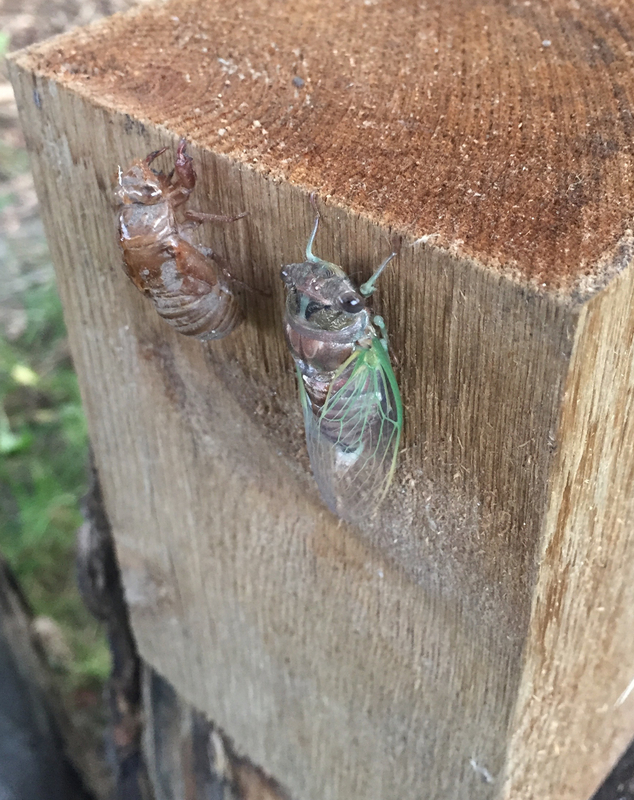 We typically have at any given time, what sounds to my ear, to be two or three cicadas in our yard. This year, however, there have been so many that I am unable to count them by listening. And they emerged earlier than usual, with the first being heard at the tail end of June! 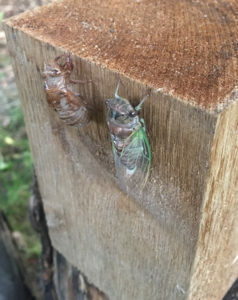 A cicada and a shed exoskeleton on a block of wood. 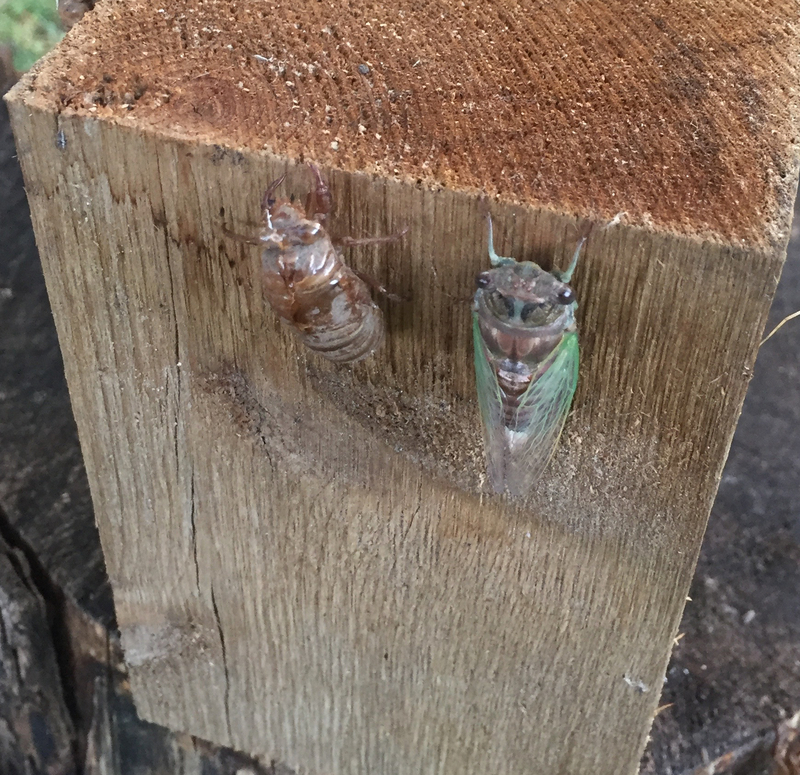 Near a stump in our yard, I counted nine shed exoskeletons and at least one live cicada. While cicadas and crickets aren’t attractive insects like monarch or swallowtail butterflies, I enjoy the buzz of the cicadas and the trill of crickets, especially at night when I have the bedroom windows open. Previous Previous post: You Flushed What Down The Toilet?